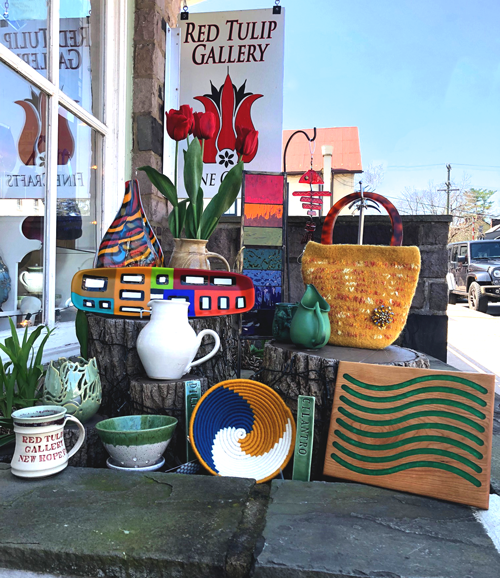 We are located in the heart of beautiful New Hope, Pennsylvania, close to the New Hope Steam Train and a short 1.5-block walk from the Lambertville-New Hope bridge. There is abundant parking, both on the street (paid via kiosk) and in public lots (pay and display) at Union Square, PNC Bank (Main Street), Bucks County Playhouse, and the Municipal Building. Many private lots are also available.